During the Regular Session of the 83rd Texas Legislature, H.B. 1025 appropriated $225 million for county road repair for damages from oil and gas activity. S.B. 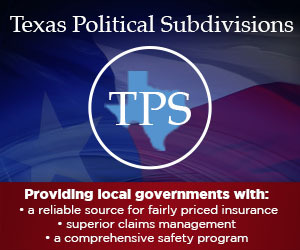 1747 creates the grant process to distribute funds to counties through the Texas Department of Transportation, which was scheduled to consider these rules in October or November. 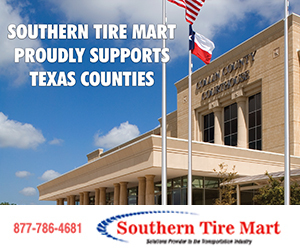 A county must establish a designated County Energy Transportation Reinvestment Zone (CETRZ) under section 222.1071 of the Texas Transportation Code to be eligible for a grant, pursuant to Chapter 256 of the Texas Transportation Code, for one or more transportation infrastructure projects (TIPs) from the Texas Department of Transportation (TxDOT). All projects funded by a grant must be located within a CETRZ. A county may establish more than one CETRZ. Practical suggestion: Before establishing a CETRZ, evaluate the county roads and determine those most likely to benefit from a grant project; provide this information to the CETRZ advisory board. Each CETRZ must be composed of a contiguous geographic area. Practical suggestion: The Central Appraisal District may provide assistance in preparing the description of the CETRZ area. 7 days prior to Commissioners Court’s public hearing on creation of CETRZ, publish notice of public hearing in general circulation newspaper in county. 30 days prior to designating CETRZ, Commissioners Court holds public hearing on creation of CETRZ and its benefits to county and property in proposed CETRZ, where interested persons may speak for or against proposed CETRZ. – Establishing ad valorem tax increment account for CETRZ or providing for establishment of joint ad valorem tax increment account, if applicable. – Detailing which county is responsible for each TIP. – the “tax increment base of a county” is the total appraised value of all real property taxable by the county and located in a CETRZ for the year in which the zone was designated. – Stating it shall comply with all applicable laws under Chapter 222 of Texas Transportation Code. Practical reminder: While the revenue in the tax increment fund is excluded from the calculation of the effective tax rate and the rollback rate, creating a CETRZ will commit all of the increased tax revenue from property in the CETRZ to transportation infrastructure projects (road and bridge budget) for 10 years. Road condition report under section 251.018 of Texas Transportation Code, including the new statutory requirement stating the primary cause, if reasonably ascertained, of degradation of road, culvert or bridge; Practical suggestion: Prepare a revised report containing this new information (likely damage from overweight oil and gas truck traffic). – Meeting any other requirements of TxDOT. Provide accounting of how previous grants spent, including administrative costs. Practical suggestion: While awaiting application forms and projected amount of grant eligibility for your county, begin review of county roads for possible projects and potential boundaries of CETRZ. Do not expend county funds until final grant award is received. House Bill 1513 by Rep. Tryon Lewis provides an increase in the maximum fees that may be assessed by district and county clerks for records archives and by county clerks for records management and preservation. Although the legislation is effective on Sept. 1, 2013, the increases cannot be implemented until Jan. 1, 2014, due to the provisions of Section 51.607, Government Code, as amended by Senate Bill 390. The District Court Clerk Records Archive Fee may be increased from $5 to $10 upon approval by the Commissioners Court as part of the annual budget. See Sections 51.305, 51.317, 101.0611, Government Code. These funds must be utilized for records archives, pursuant to an annual plan submitted by the district clerk and approved by the Commissioners Court, after notice and hearing. The County Clerk Records Archive Fee may be increased from $5 to $10 upon approval by the Commissioners Court as part of the annual budget. See Sections 118.011(f) and 118.025, Local Government Code. These funds must be utilized for records archives, pursuant to an annual plan submitted by the county clerk and approved by the Commissioners Court, after notice and hearing. The County Clerk Records Management and Preservation Fee may be increased from $5 to $10. This fee is set by the county clerk. See Sections 118.011(b) and 118.0216, Local Government Code. These funds may only be expended for records management and preservation purposes, as proposed by the county clerk and approved by Commissioners Court. All of these increases in the maximum fees will revert to $5 on Sept. 1, 2019, unless extended by the legislature. The District Clerk Records Management and Preservation Fee remains at a maximum of $10. See Sections 101.0611(7) and Section 51.317, Government Code. For more information, please call me at 1-800-733-0699 or email j.allison@allison-bass.com. As the end of the legislative session approaches, most major issues remain unresolved, and the possibility of a special session remains. Major differences have emerged between the House and the Senate over the funding for water projects, transportation infrastructure, and education, particularly over the potential use of the Rainy Day Fund. If these issues are not resolved, the governor has indicated that a summer special session will be called. While working with legislators on county legislation, it has become apparent that our educational efforts are incomplete. Many members, especially first- and second-termers, remain unaware of the limited powers and authority of the commissioners court. 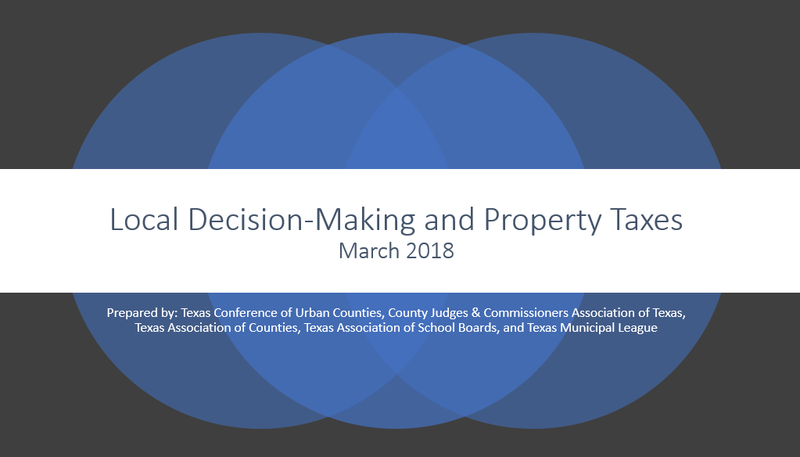 In response to proposed legislation requesting local option solutions, they often simply suggest that the commissioners court adopt an ordinance, unaware that we have no general ordinance power. Clearly, we must renew our contacts and communication to improve the current lack of knowledge of county government among our legislators. When the session closes and the governor has exercised his veto review, we will circulate a summary of the new county-related laws. More detailed discussions will be presented at the regional and state conferences. H.B. 7 by Rep. Darby reduces diversion of dedicated funds. H.B. 11 by Rep. Ritter appropriates $2 billion from the Rainy Day Fund for water infrastructure projects. H.B. 104 by Rep. Gonzales repeals the excessive fees on driver’s licenses. H.B. 205 by Rep. McClendon requires state to develop plan for allocation of sufficient hospital beds for mental commitments. H.B. 335 by Rep. Stickland authorizes posting of notices on county website as an alternative to newspaper publications. H.B. 385 by Rep. Thompson / S.B. 265 by Sen. Huffman authorizes commissioners court to self-insure county officers and employees in lieu of surety bonds. H.B. 520 by Rep. Kuempel requires municipalities to fund autopsy when body is found within municipality. H.B. 563 by Rep. Guillen provides severance tax funding for counties within shale oil and gas development areas. H.B. 675 by Rep. Ratliff authorizes county regulation of off-premises signs advertising sexually oriented business. H.B. 691 by Rep. Phillips authorizes county to regulate location of halfway houses for probationers and parolees. H.B. 714 by Rep. Kuempel authorizes county to contract with DPS for joint vehicle-weight facilities. H.B. 761 by Rep. Marquez / S.B. 170 by Sen. West / S.B. 456 by Sen. Rodriguez authorizes commissioners court to require residential code inspection before utilities are connected. H. B. 832 by Rep. Giddings / S.B. 186 by Sen. Carona authorizes county to abate mosquitoes on uninhabited residential property. H.B. 1336 by Rep. Keffer appropriates $1.4 billion from Rainy Day Fund for county roads and state highways affected by oil and gas production. H.B. 1513 by Rep. Gooden / S.B. 1229 by Sen. West increases county records management fee from $5 to $10. H.B. 2147 by Rep. Hildebran, commissioners court may authorize county officer or employee with CHL to carry in courthouse. H.B. 2327 by Rep. Gooden / S.B. 1411 by Sen. Deuell increases the courthouse security fee by $5. H.B. 2454 by Rep. Frank authorizes county to count inmate health care expense toward state assistance. H.B. 3124 by Rep. Lucio III authorizes a $2 county records technology and infrastructure fee. H.J.R. 96 by Rep. Coleman prohibits state unfunded mandates on counties. H.J.R. 103 by Rep. Simpson allows counties under 50,000 to have fewer than four justice of the peace precincts. S.B. 300 by Sen. Uresti provides severance tax funding for oil and gas counties. S.B. 1729 by Sen. Nichols authorizes commissioners court to contract with DPS to operate driver license renewal offices. H.B. 14 by Rep. Pitts / S.B. 14 by Sen. Williams requires all counties to maintain a website and post financial information; increases requirements for issuance of certificates of obligation. H.B. 708 by Rep Isaac removes commissioners court authority over approval of deputy constables. H.B. 777 by Rep White increases axle weight allowance for overweight timber or timber product trucks. H.B. 958 by Rep. Orr reduces TCDRS rate of return from 7 percent to 5 percent. H.B. 960 by Rep. Sanford increases mandatory county bond ballot language to require debt and surplus funds information. H.B. 1250 by Rep. Frank restricts initial use of property purchased after eminent domain notice. H.B. 3054 by Rep. Springer would require all county bond elections to be held on November election date. H.B. 3429 by Rep. Lucio III / H.B. 3557 by Rep. Ritter repeals county authority to prohibit fireworks under Texas Disaster Act. H.J.R. 46 by Rep Burkett requires all county commissioners to run after redistricting of precincts. S.B. 144 by Sen. Williams – Revenue Cap; reduces rollback rate from 8 percent to 5 percent. S.B. 262 by Sen. Huffman denies criminal justice grants to counties that fail to satisfy DPS reporting requirements. Greetings! Wow, how time flies. We are six months into our 2012-13 budget year. Hope no one has had too many surprises in their budgets. I am concerned about the Johnson County 2013-14 budget. In the last three years we have lost $2,200,000,000 ($2 billion, $200 million) in total tax base. The decline in drilling of new gas wells and the decline in the existing natural gas price have been hard for our county financially. We are hoping that the drilling and the prices return. The number of gas wells in our county has made it difficult for our county commissioners to keep up with all of the road damages in our county. Our revenues are down, but the truck traffic is still destroying our roads. DeWitt County Judge Daryl Fowler is taking the lead in regard to additional funding for the counties that are in different shale formations in our state. Please give Judge Fowler any information that would help support his work in additional funding for the counties who are having difficulties repairing their roads due to the truck traffic. If I could make a recommendation to the counties that are experiencing large revenue increase due to the natural gas and oil values, it would be to keep as much of the revenue away from your general fund as possible, and pay off debt. This increase in revenue is great coming on, but it’s not so great coming off. I am sure that most of us are aware of all of the different bills that have been filed during the 83rd Legislature. I was talking with Jim Allison this week about the bills that affect county government, and as usual there are many that do, so please try to talk with your senator and representative and oppose the bills that may cost us more money. If you are not aware of the bills that are affecting us, please see Jim’s column on page 6 of this issue. Remember, if we do not let our representatives know how we feel, then they may believe that everything is ok.